I'm welcoming autumn with open arms! I had a lovely summer, but I'm so excited for my favorite season. Give me all the cozy sweaters, tall boots, mild temperatures, and delicious Pumpkin Spice Lattes! 1. Moderating Tower of Dawn Tour Event - I was so honored to be asked to moderate Sarah J. Maas' Tower of Dawn tour stop in Atlanta at the beginning of September. Honestly, it was a highlight of my year and blogging career (not just of September). I had the best time chatting with Sarah - it was such a surreal experience, and I'm so thankful I had the opportunity! I'm hoping to finally write a recap of it in October. 2. Outdoor Afternoons - It's still pretty hot in the south, but there was a little cooling off in September. For us, that meant lots of afternoons and evenings outdoors: reading on the porch, running around the park, playing in the sprinklers, blogging on the back deck and flying high on the swings. I loved getting to spend quality time outside - without being drenched in sweat - and make so many special memories. 3. Family Explorations - In addition to spending time outside around the house, we went on a few family adventures, too! We went back to the zoo for the first time since our son's first birthday, and it was so neat to see how much can change in just a few months. He was so much more aware of the animals and loved imitating their noises! We also visited some local botanical gardens, which was a fun afternoon adventure. 4. My First Book Sleeve - I've been curious about book sleeves for a while now, but I could never seem to commit. But I finally managed to snag one from Story Time Sleeve and am in love with it! I love the fabric pattern on the outside and inside (here's a closer view of both). The size is just perfect for paperbacks and many hardcovers, and I have nothing but praise for the quality of the sleeve. Now, do I need more?! “Maybe love isn't just a bouquet of roses once in a while. once they've cut you a couple of million times, their edges blunt on your scar tissue, they wear thin. like a longing for what was but isn't anymore. But maybe it's more of a blessing. As usual, I started the month with my August 2017 recap. Next, I shared my review of The Winter Sea by Susana Kearsley for August's Picky Pledge Challenge prompt, "A Book I Was Gifted." 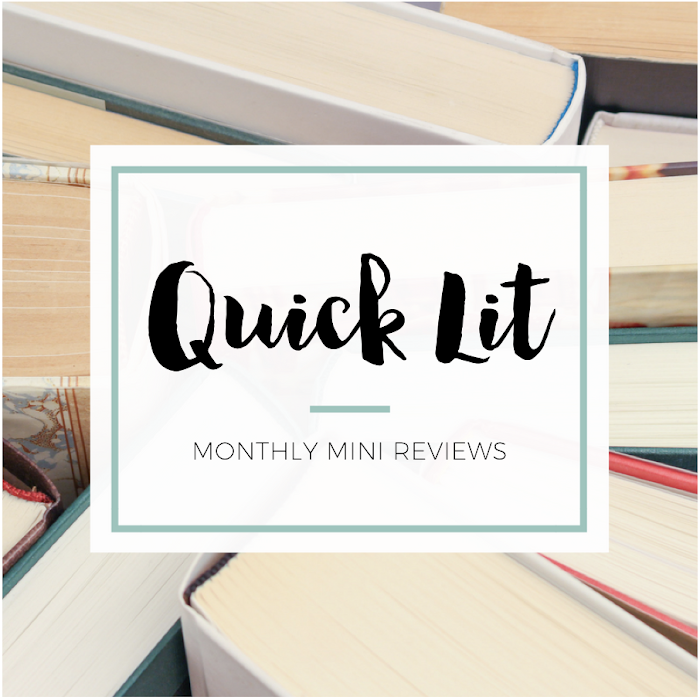 Then, my August Quick Lit was packed with books - twelve, to be exact! And I finally reviewed a favorite, The Alice Network by Alice Quinn. But the two other posts I shared this month were my favorites! 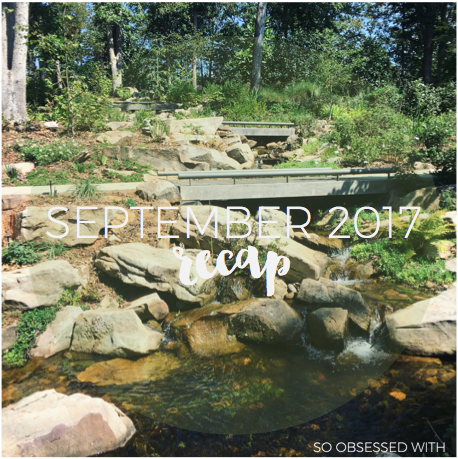 Three Ways I Tackled My TBR This Summer was my first discussion in a long time. It was so much fun to write that type of post and talk about the strategies I used, including seasonal reading lists (my new obsession!). And finally, I wrote about Thirty Favorite Picture Books. It's been such a joy watching my son develop a love of reading -- and strong opinions on what we read. 1. Turn of the Season by Alexa from Alexa Loves Books - I really enjoyed this event that Alexa co-hosted with Kristin from Super Space Chick! Summer and autumn are my favorite seasons, too, so I loved that they found a way to recap their fave summer reads and memories and share what's on their radar for fall. 2. Five Things by Lauren from Bookmark Lit - Did I bookmark this post partly because I might want to copy it? Maaaaaaybe. 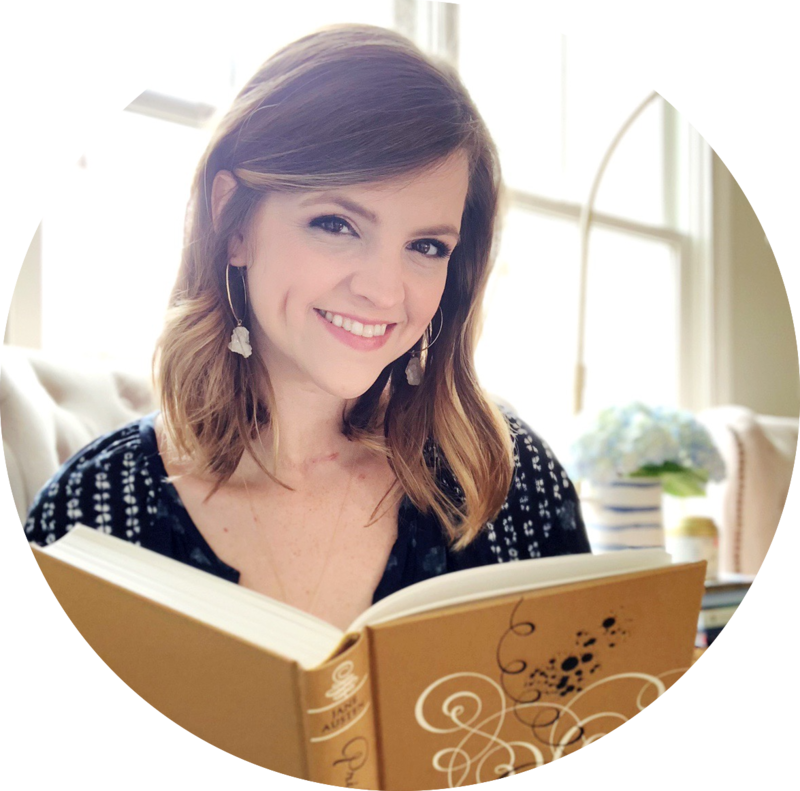 Regardless, I'm excited about the changes Lauren is introducing to her blog and can totally relate to her desire to talk about more than just books. This post was a fun extension of that mission! 3. Five Star Summer - The Best Books I Read by Cassie from The Casserole - Okay, I didn't technically bookmark this so that I could come back to it later... I saved it so I could make sure I shared it with everyone else because I'm just so happy that Cassie might be blogging more this fall! I have missed her voice. This was a given, right? I LOVE THIS SONG SO MUCH! I was iffy on her first single, but this one gave me more hope for the album. This isn't new, but I listened to it a lot this month. I already loved the song "Smooth Sailin'"
but Big Little Lies got me hooked on "River" and then the rest of the album. I've been a fan of this podcast for a while, but I listened to a lot of episodes in September. Their chats about books, small business and life in the South are so enjoyable! Younger, Seasons 1-3, starring Sutton Foster, Hilary Duff and Debi Mazar - I don't know why I didn't watch this show sooner! My love for Hilary Duff should have been enough to make me tune in when it first premiered. But I righted those wrongs in September and binge watched the first three seasons. The show is so fun, even if the premise is implausible. Watching it makes me laugh - even when it's ridiculous! The Big Sick (2017) starring Kumail Nanjiani and Zoe Kazan - I heard about this on The Popcast and saw the trailer on TV several times over the summer, so it was definitely on my radar to watch as soon as it came to Redbox. I liked it, but I didn't love it as much as I was hoping. I didn't feel super invested in the characters. Holly Hunter, however, stole the show and was absolutely fantastic! It was worth watching for her alone. I'm glad you had such a good month! I still haven't read Empire of Storms, let alone Tower of Dawn. I'm so behind! "Rowan beheld all Aelin was and is, and he was not afraid." OMG goodbye world. Congrats on getting to moderate Sarah's Tower of Dawn event! That's so exciting!!! I'm also so ready for all the fall<3 And thanks for including Alexa and I's event! We had so much fun celebrating the seasons!